Plateau Central Haiti is the spot where everyone wants to build a home. 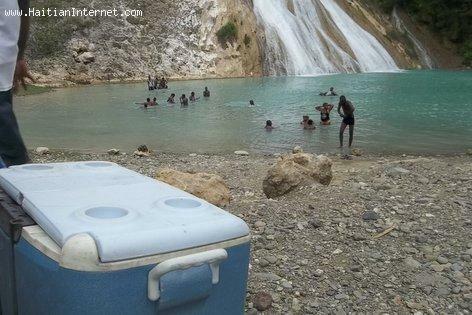 The Bassin Zim Waterfall outside Hinche Haiti is the new hot spot in the Plateau Central where everyone wants to hangout. Bassin Zim is beautiful, it's clean, it's exotic, and now you can get there by car in just about 15 minutes from Papaye. After spending a couple of hours there over the weekend, it is evident that Bassin Zim is beginning to bring in some outside money to the local vendors in the area. I've been told that people from way outside of the Plateau Centrale to Bassin Zim to hang out. As the word gets out Bassin Zim will be definitely be one of the hot spots on the Haiti tourism map.